When I'm stressed I turn to bad puns. So here I am on vacation! Or staycation. 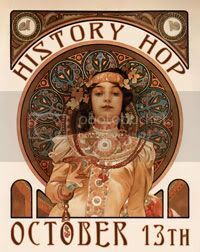 that's fine, because I really wanted to catch up on some jewelry designs, especially for the History Blog Hop, sponsored by Leah of Beady Eyed Bunny. Life always has a way of getting in the way, But I should be able to post on reveal day based on what I have done already. Hubby is in the hospital having heart surgery as I write this, though, so I'm not sure if the art deco piece will be ready.But Egypt is almost ready! Updates soon! Oh my!!!! Hope he is doing fine now, Beti! Hugs and prayers for you and your family!